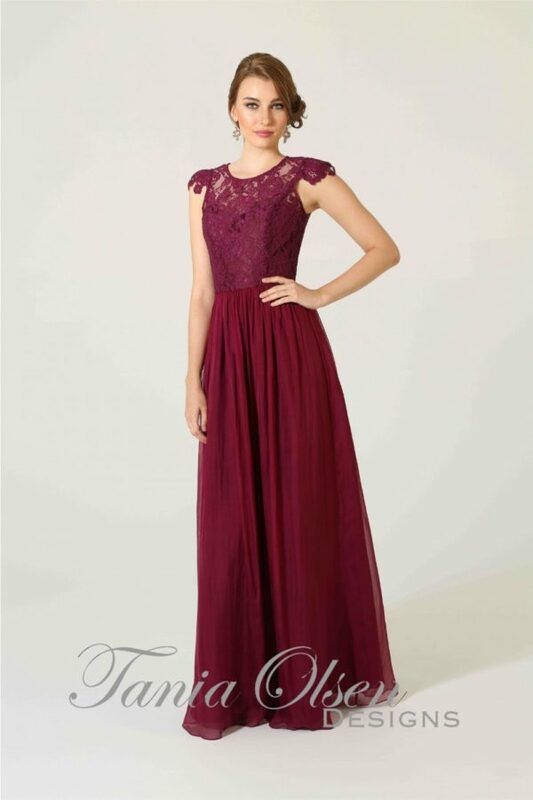 The striking Lucia bridesmaid or formal gown features stretch knit, tapered down one side into a daring side split. The striking Lucia bridesmaid dress or formal gown features stretch knit, tapered down one side into a daring side split. A figure hugging show-stopper, the rear view is equally as stunning, with vertical tapering to the middle of the gown perfectly accentuating your figure.